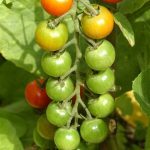 Professor Graham Seymour uses the tomato as a model for fleshy fruit in understanding the regulation of ripening. The Bewley Lectures were established in 1978, following the official opening of the Bewley Conference Hall at the Glasshouse Crops Research Institute (GCRI), Littlehampton, and were named after the first Director, Dr William Fleming Bewley. Lectures continue to highlight important advances in horticultural and agricultural science and policy associated with the past scientific remit of GCRI. WFB’s scientific career began at Rothamsted in 1912 when he joined the staff as assistant bacteriologist. In 1919, he was appointed mycologist at the Experimental and Research Station, Cheshunt, and was promoted to be its Director in 1921. This was a post he held for 34 years, until Cheshunt’s closure. He is remembered during this time for initiating developments in disease control, biological control of glasshouse pests, the use of virus-free seed and CO2 enrichment in greenhouses. He was wholly dedicated to the service of the glasshouse industries in the UK and the Channel Islands and, in particular, established his authority as a plant pathologist. His book, Diseases of Glasshouse Plants, first published in 1923, became a standard reference work. He applied his mycological expertise to the cultivation of edible fungi, and his follow-up book, The Cultivation of Mushrooms, ran to three editions. The completion of a third book, Commercial Glasshouse Crops, was interrupted by the war, and although it soon became out-dated after its publication in 1950, stands as a monumental record of glasshouse crop husbandry in the first half of the last century. Following the closure of Cheshunt, WFB directed the establishment of the GCRI at Littlehampton on the South Coast, and became its first Director. He oversaw the transfer of staff and facilities from Cheshunt, and the integration of research from the Mushroom Research Association at Yaxley, near Peterborough. He was, undoubtedly, a “horticultural giant” who assisted the shaping of the UK horticultural research service at the time and, arguable, helped make it the envy of the world.